Do you want Above & Beyond’s latest album ”We are all we need”? 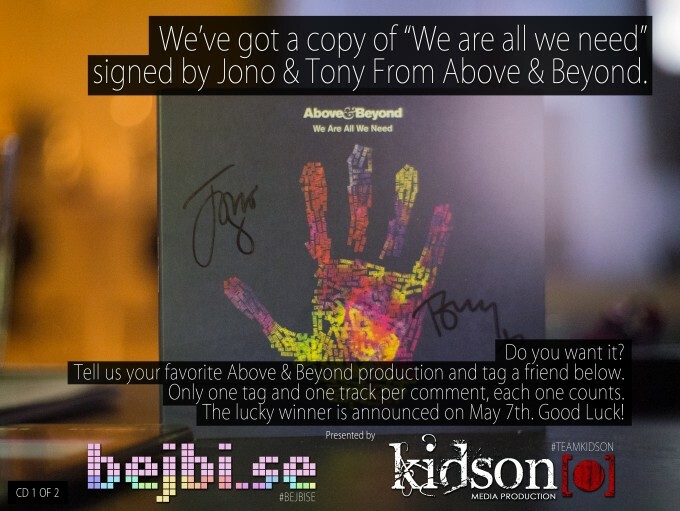 bejbi.se and Kidson Media Production got two albums signed by Jono & Tony when they were in Stockholm in January. Follow the instructions in this picture on facebook ( <- link to it), and you might get your own signed We are all we need-album! Dont't forget to press that like button on facebook to follow us for more good stuff like this! This is open worldwide, but only until May 7th! While you wait for us to announce your name, check out the deep and personal interview we did with them!